The word rhinoceros comes from the Greek rhino (nose) and ceros (horn) and this is the most distinguishable feature of this animal. 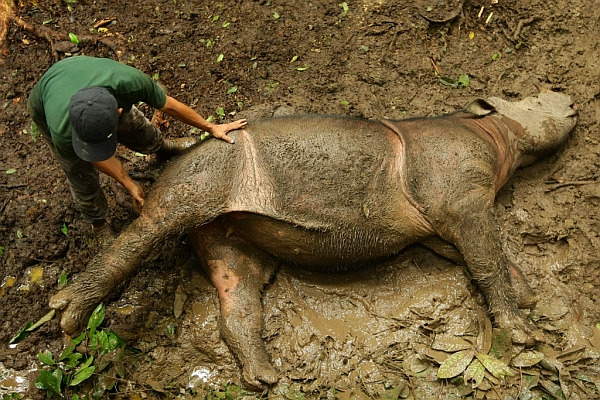 Together with the black rhino and white rhino, the Sumatran rhino has two horns whereas the Javan and Indian rhinos have only one. 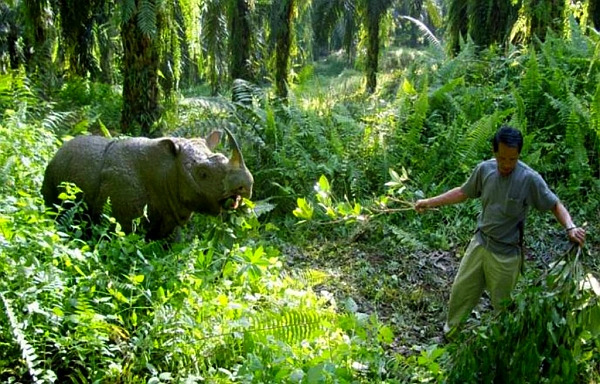 There are five species of rhinoceros in the world and the Sumatran rhinoceros is the smallest and hairiest of all. Rhinos have large heads, broad chests and thick legs. They look clumsy but can charge at high speed when they are startled. This is because they have very poor eyesight but excellent hearing so they will reach aggressively when something frightens them. A group of rhinos is sometimes called a 'crash' probably due to the pandemonium they cause when charging at something. Although their skin looks very tough it is actually quite sensitive. That is why you often see rhinos wallowing in mud pools to keep biting insects away. 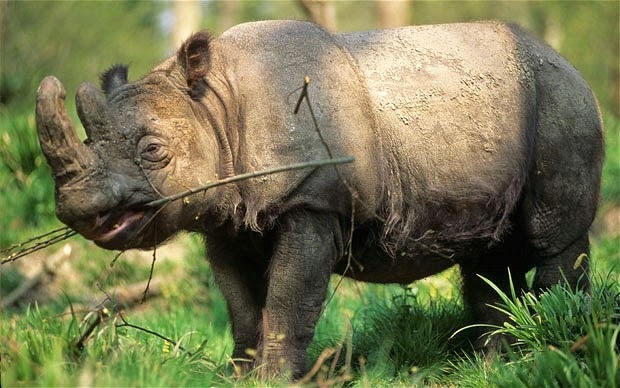 Despite its huge size rhinos are herbivores and feed on vines, leafy twigs and fruits. 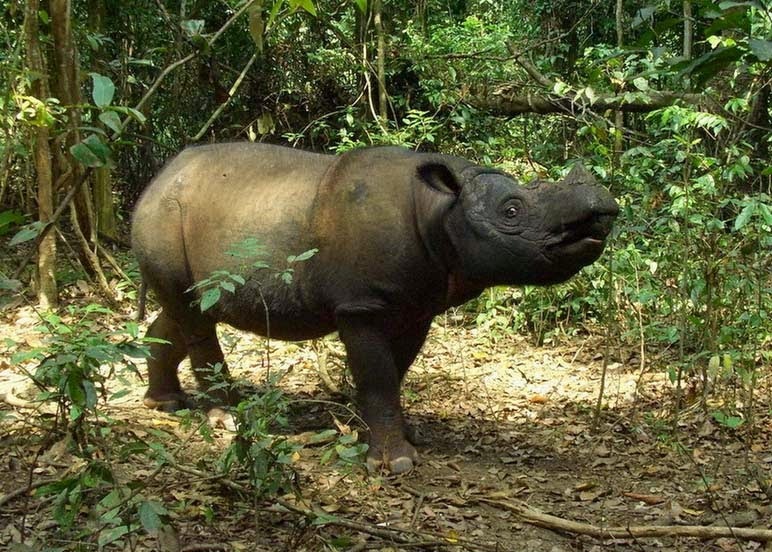 The Sumatran rhinos is critically endangered because they are solitary animals that are widely scattered across their range and suffered from habitat loss as their forests have been cleared for lumber and conversion to agriculture.